Every experienced tennis player understands just how important it is to always employ the right gear and accessories, especially if you want to improve your game. When we talk about accessories, we cannot help but mention just how important balls are, and how important it is to always use the balls that have the right bounce and consistency. Once you figure out whether you need recreational, championship, or professional balls, all you need to decide is whether you want pressurized or pressureless versions depending on your skill level. After that, you need to delve into the large selection available and figure out which balls to get. To help you in that regard, we put together a list of the ten best tennis balls the market has to offer right now. Unlike standard tennis balls, the Briton Pressure Less Tennis Balls are designed to maintain their bounce and consistency while offering a high level, long-lasting performance. Durable, heavy-duty and extremely responsive, these tennis balls are made with a premium rubber shell covering that produces an exceptional bounce. 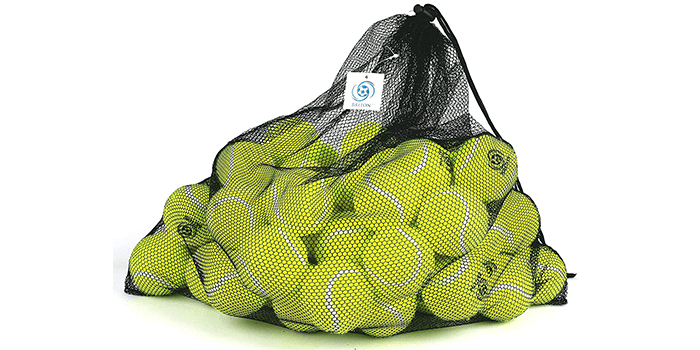 Available in a handy carry bag made of mesh, these balls can be easily carried around or stored in one place. Ideal for tennis lessons, practice and training sessions and a variety of other sports activities, these tennis balls can also be used in throwing machines and thus can be used to play with your pets. Made from high-quality Duraweave felt, the Wilson Prime All Court Tennis Ball is an exclusive product that delivers exceptional performance on the court. 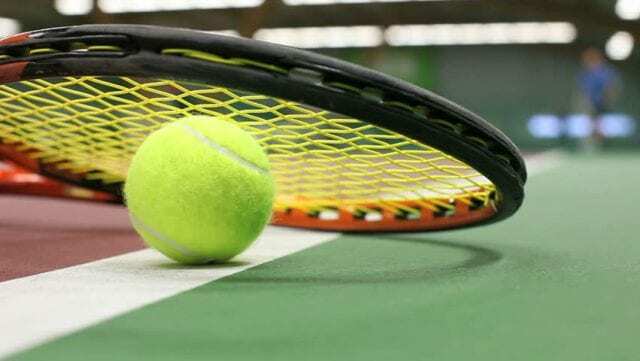 Known for its durability and reliability, it is suitable for all kinds of surfaces and is one among the best tennis balls utilized for training purposes as well as for competitions. Approved and certified by the USTA and ITF, this premium grade tennis ball comes in a convenient can containing 3 balls. 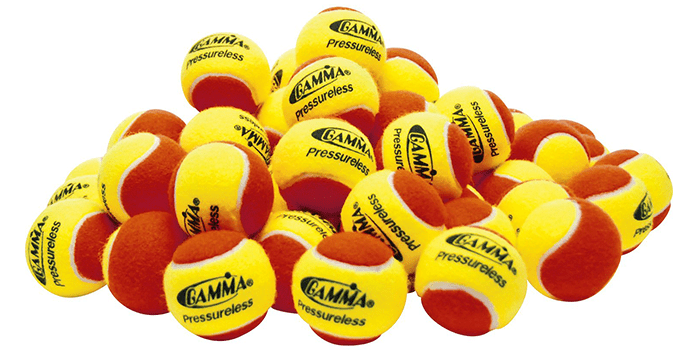 Ideal for ball throwing machines, practice and training sessions and tennis lessons, the Gamma Sports Pressureless Practice Tennis Balls come in a handy pack of 60 pieces. Featuring a super-durable core made from premium grade rubber, these tennis balls come equipped with a high-quality felt cover that provides numerous hours of heavy duty, reliable performance. Thanks to its dual tone color and design, it helps with teaching beginners the art of spin control. 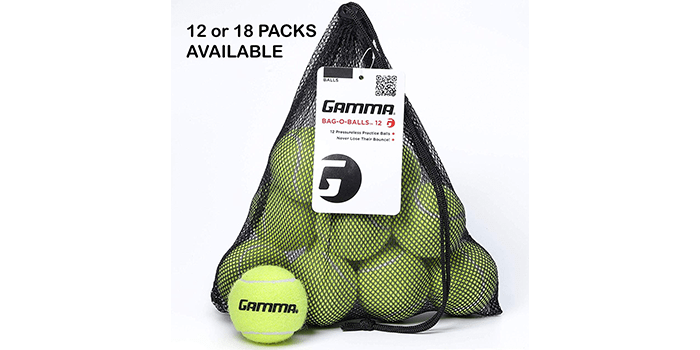 Available in a bag of 12 or 18 balls, the Gamma Bag of Pressureless Tennis Balls provide optimum performance levels with durability without losing any pressure with time. 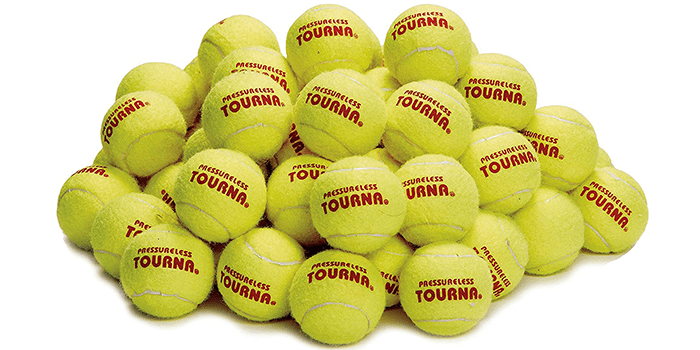 Ideal for utilizing with throwing machines, these pressureless tennis balls are suitable for professionals as well as learners and can be used during practices or while playing championships. Thanks to its unique construction and premium soft quality material, these balls can be utilized on any type of court surface, whether clay or cement. Put into a reusable, convenient bag, it can be carried around with ease and stored in one place. 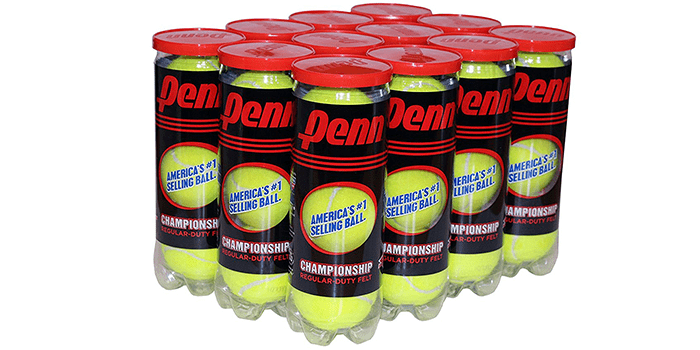 Crafted with premium grade natural rubber, the Penn Championship Tennis Balls provide a consistent touch and are resistant to shock and outer impacts. Thanks to its interlocked wool fibers, it provides optimum durability and reliability. Featuring deep seams made from premium quality elastic, it does not crack easily and provides an excellent performance on the court. 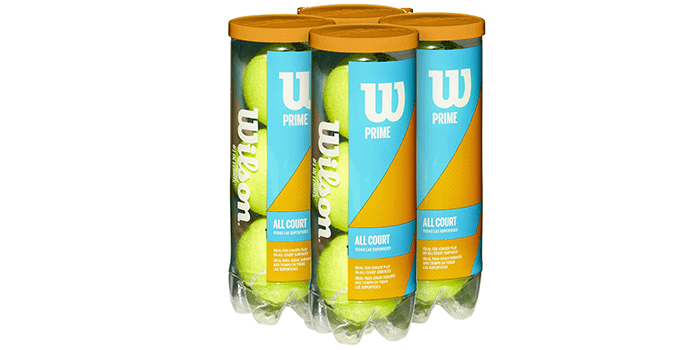 Suitable for all types of court surfaces, this tennis ball is highly responsive and super bouncy. 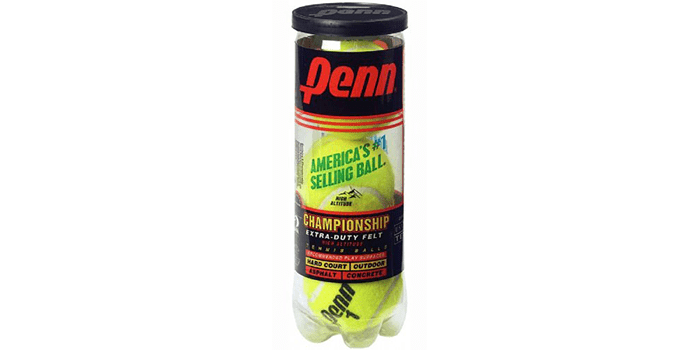 Including 3 balls in a convenient can, the Penn Championship Extra Duty High Altitude Tennis Ball is a premium quality product that is made with natural rubber. Shockproof and ultra-durable, this tennis ball offers a consistent bounce while playing and comes equipped with interlocked woolen fibers that increase its durability. Approved by the USTA and ITF, this tennis ball is designed with heavy duty felt that does not wear away with time. Ideal for hard courts, outdoor asphalt, and concrete surfaces, it is suitable for practicing and training sessions as well as competitions. 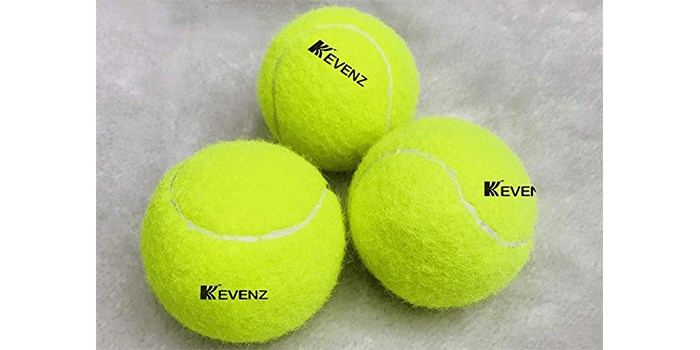 Ideal for practice and training sessions, the Kevenz 12-Pack Standard Pressure Training Tennis Balls feature a thicker, premium elastic and heavy duty covering that offers optimum durability and reliability. Equipped with high quality interlocked wool fiber with a thicker lining for optimum sealing and airtight protection, these balls are easy to control and provide a comfortable and slow speed so that learners can be trained with ease. Suitable for all types of tennis court surfaces, these balls can be used in throwing machines and can also be utilized while playing with your pet. 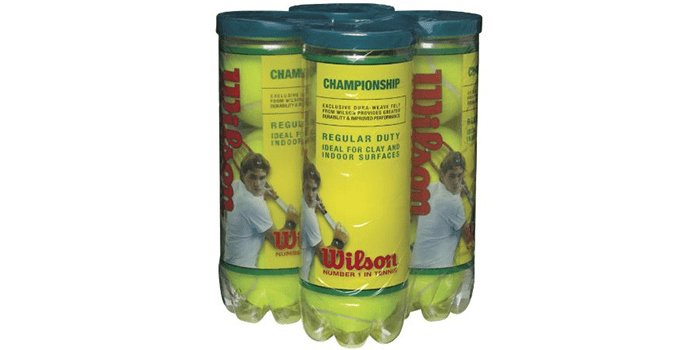 The Wilson Championship Regular Duty Tennis Ball is a premium quality product by most standards, one that comes in a convenient pack that includes 4 tennis balls. Uniquely crafted with heavy-duty Dura-weave felt, it offers optimum durability and a high performance on most tennis court surfaces. Ideal for clay courts and indoor tennis courts, it can also be utilized in throwing machines and can be used for playing with your pet. Light in weight, ultra-durable and highly responsive, these balls are resistant to shock and outer impacts. Unlike other tennis balls, the Tourna Pressureless Tennis Balls maintain their bounce and durability over time, even if unused. Featuring an ultra-durable felt material, these tennis balls last longer and are suitable for all types of court surfaces as well as ideal for practice sessions, playing with your pets or even using in a tennis ball machine. Light in weight, reliable, and available in a convenient pack of 60 balls, these balls come in different sizes and a variety of value packages. 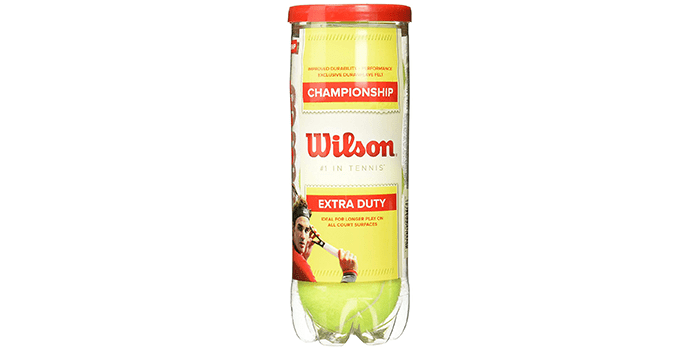 Known for its high quality and exceptional performance, the Wilson Championship Extra Duty Tennis Ball is crafted with premium quality synthetic material and is certified and approved by USTA and ITF. Considered as the official tennis ball for the US Open and the Australian Open Grand Slam Championships, it is now also the official ball for NCAA Men’s and Women’s Tennis. Thanks to its premium Dura-weave felt and extra duty, it delivers an enhanced performance and offers optimum durability on hard court surfaces.